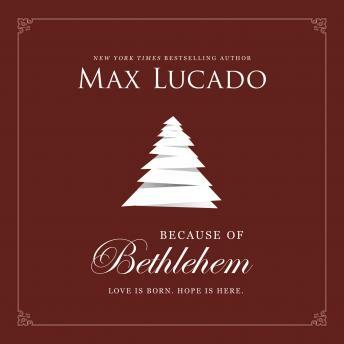 Max Lucado loves Christmas. Let the sleigh bells ring. Let the carolers sing. The more Santas the merrier. The more trees the better. He loves it because somewhere someone will ask the Christmas questions: What’s the big deal about the baby in the manger? Who was he? What does his birth have to do with me? And the answers he’s found give us all hope. God knows what it’s like to be a human. When we talk to him about deadlines or long lines or tough times, he understands. He’s been there. He’s been here. Because of Bethlehem, we have a friend in heaven. These are the heart shaping promises of Christmas. Long after the guests have left and the carolers have gone home and the lights have come down, these promises endure. Let’s turn on the lamp, curl up in a comfortable spot, and look into the odd, wonderful story of Bethlehem. Max has found a lifetime of hope. We will too.